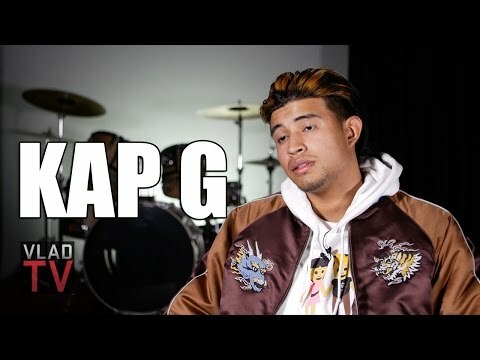 In this clip from Kap G's December 2016 interview with VladTV, Kap G speaks about the unique position of Latino musicians in the hip-hop world. His outlook for Latino MCs and producers is positive: "I feel like this new wave of Latino rappers, we coming together...We're starting to support each other." Kap G also deals with the topics of Mexican stereotypes and police brutality in black and brown communities. "They're policing us," he says, "And all they're doing right now is killing."